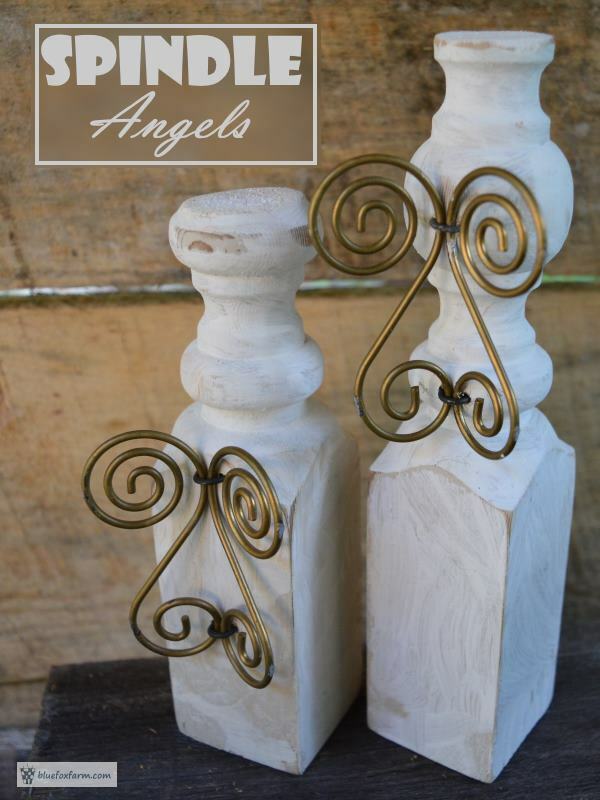 Angels are all around us, if you believe in that sort of stuff - if you don't, why not make some of your own out of salvaged spindles? I'm bad for collecting odd bits of stuff, never knowing when the inspiration will strike to build something. 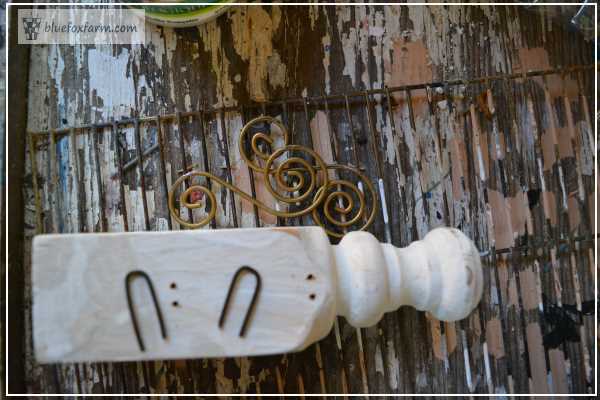 These spindles and balusters have been collecting dust just waiting for my urge to make some angels out of them. 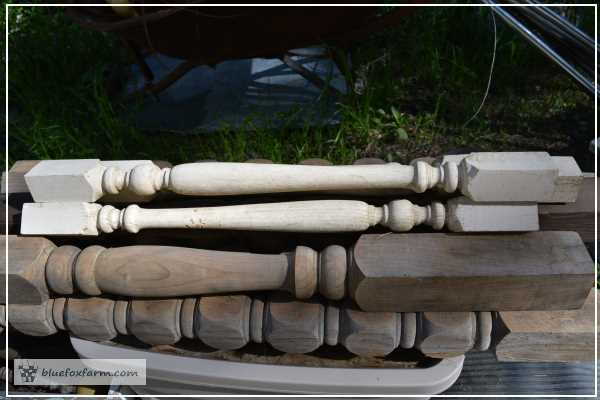 These small ones are stair balusters and are turned from what looks like a 2x2 piece of lumber. Others that I have are a lot bigger, and are evidently big enough for other purposes, like table legs or bed posts. 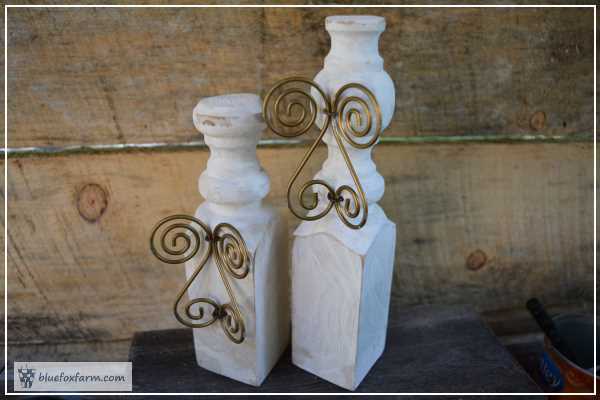 I wanted something small, so the top height of these is around five to six inches. The wings are from a weird little object found in a thrift store in a packaged bunch of brass things, and I have no idea what it's meant to be. The swirly bits I thought would need to be cut off with a hacksaw, but I could snap them off by hand. They were then attached to the cut piece of spindle. 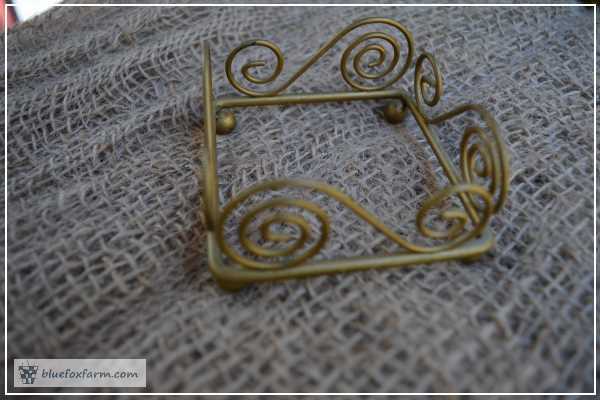 I used a piece of wire, bent into a hairpin shape, and glued into two holes. Doesn't that look just like an angel?